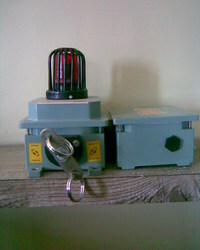 We are Leading Manufacturer and Supplier of Pull Cord Switch. We offer the various types of one of them is Safety Switches for Material Handling Plants to our clients, these are designed for use in heavy industries. Looking for Safety Switches for Material Handling Plant ?